For those who have ever watched Seinfeld, you are well aware of Jerry's arch-nemesis. Yes, he is affectionately known as "Newman". He bears a striking resemblance to that dude who gets killed in Jurassic Park... Anyways, Milhouse has a Newman of his own. He is one of the managers at the former Happy King Restaurant. Milhouse swore never to return due to the fact that this manager would not only rush us out the door when we were there for late night "da lang", he actually removed a dish Milhouse was in the middle of eating. Ever since that incident, he did not want to return, even if it was the only restaurant open. Fast f orward to the present and Happy King is no more. 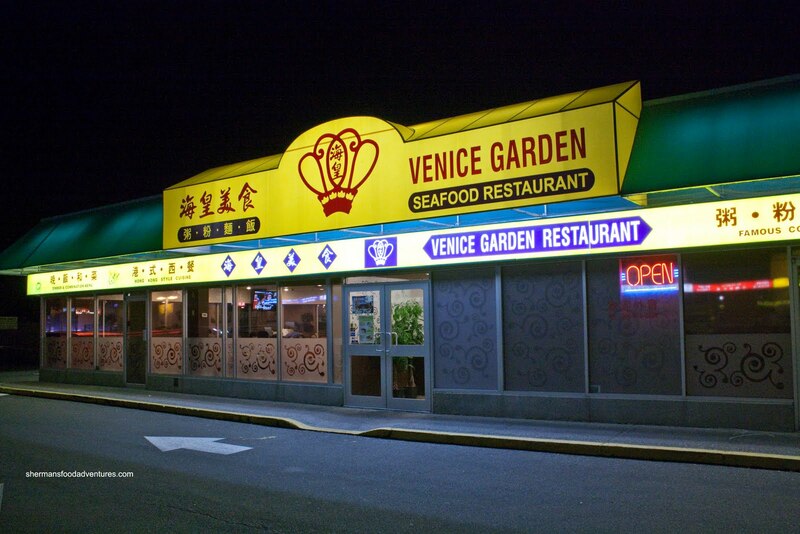 It has given way to a new joint named Venice Garden. Enter classier furnishings and a much cleaner floor. Apu suggested we head there for late night after Friday night hockey. He indicated that the place was under new management. Okay, sounded good to me. Although, it did take a bit of convincing for Milhouse to join us. And guess who was there to greet us when we walked in the door... Newman. I guess the place is not under new management after al l... In fact, other than the addition of a new floor, new furnishings and a build-your-own-noodle menu, everything else looked the same. With that in mind, we didn't do the da lang thing though. We ended up ordering our own things. We'd just have to see if Milhouse would be able to finish it without it being removed from the table. Originally, Milhouse, Ginseng and I were wanting to share a Chinese Salty Donut (this sounds incredibly suggestive...), hence we all got congee. Turns out they didn't have any salty donuts left, even though there was one sitting in plain view for all to see. I guess it was either stale from sitting there all day for all to see or they were saving it for themselves. 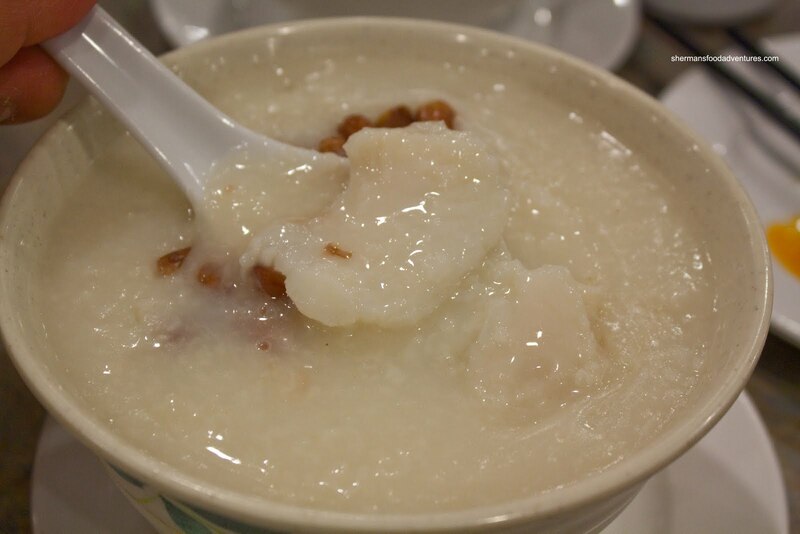 Anyways, Milhouse and Ginseng both had the Preserved Duck Egg and Salted Pork Congee. From all reports, the congee was more than adequately seasoned (with lots of MSG) and full of salty hand-shredded pork. The congee started off thick; but became watery at the end. For myself, I had the Fish Congee and it was full of tender Basa slices. 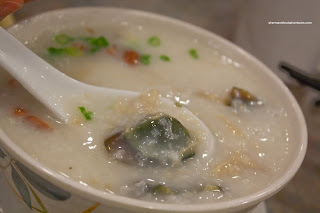 I found the congee a bit too flavourful; but in the end it was decent. I wasn't satisfied with just a bowl of congee, so I added a order of Wonton Noodles as well. I wasn't expecting much and to my surprise, it was a solid bowl of noodles. The soup base was flavourful and steaming hot while the noodles were just a tad past al dente. There was still a slight chew to them though. 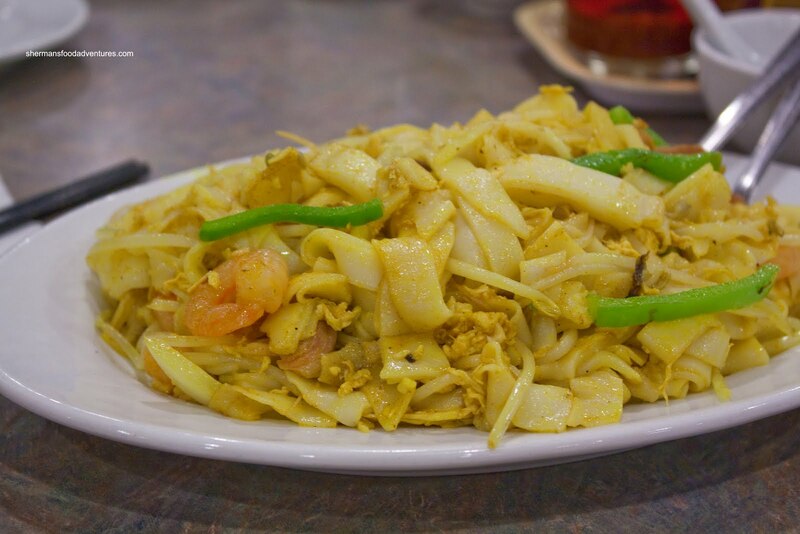 The star of the show was the humungous all-shrimp wontons. They were bursting with whole crunchy well-seasoned shrimp. These were really good wontons. 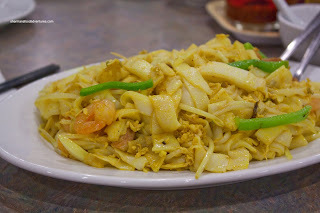 Boss Woman had 2 dishes starting with the Chow Gwei Duy or Singapore Fried Flat Rice Noodles. This was a fairly large serving of noodles; yet there was very little in the way of shrimp, BBQ Pork or peppers. It was mostly noodles. The noodles were cooked alright remaining in one piece while still soft. In terms of flavour, there needed to be both more curry powder and salt. 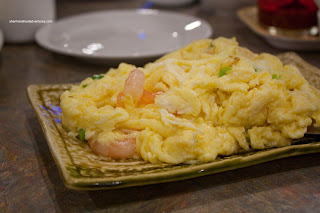 For her second dish, she had a small dish of Scrambled Eggs with Shrimp. This was a well-executed with lots of cold-water shrimp and perfectly prepared eggs. The eggs were just cooked being slightly runny. Lastly, Bear had the ever exciting bowl of BBQ Pork on Rice. Since this was essentially the end of the day, the BBQ pork was predictably dry. He didn't elicit much response to this standard item. 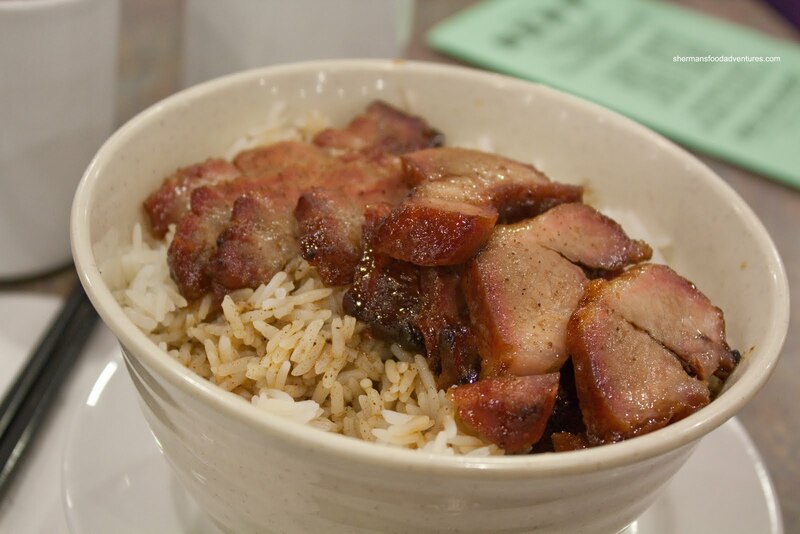 I guess it did the job for late night eats; but it wasn't anything that could rival HK BBQ Master. 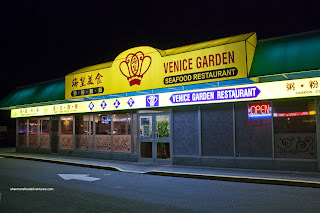 So there you go - Venice Garden appears to be a renovated version of Happy King. At the very least, the food quality as a whole seemed pretty good for what we ordered. I was particularly impressed with the wontons especially since this is not a place you'd associate with good wontons. For the time of day, the food did the job and now it is a whole lot cleaner too. Oh and Milhouse got to finish his meal without it being prematurely snatched from him. My family and I have been coming here for awhile. 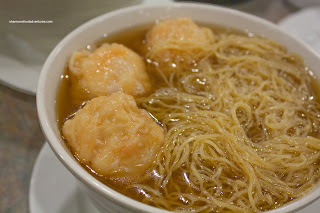 The food is typical cantonese style and their congee, wonton and fried soya noodles pretty solid. We also like their reasonably priced combo dinners and will be going their this weekend as a matter of fact for my mother's birthday.